Scott, our man on the Rangers beat, is still basking in the glow of the big win on Monday. His Blueshirts, or as Mike Milbury calls them… nevermind, came out on top in a game that kept us on the edge of our seats. Rumor has it that Detroit may host the next WC, so it will be up to Jeff, the guy who brought Scott on board here, to cover it for us. 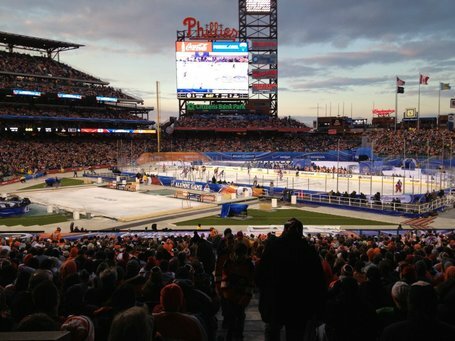 The 2012 NHL Winter Classic had a little bit of everything that is great about hockey and an outdoors game. It was a physical game. There was a penalty shot. A come from behind victory. It snowed. And I got to enjoy it all from the comfort of my home. I could have gone to the game for $350 a ticket but I thought I would save that money and maybe say go to like seven games at MSG instead. Instead, I sat at home in my Ryan Callahan Rangers Winter Classic jersey with a beer in one hand and a bag of Dipsy Doodles in the other. Happy New Years to me! I think what is great about the Winter Classic is not just the game itself but everything that leads up to it. The HBO four part mini-series “24/7” that follows the two teams involved in the Winter Classic for the four weeks up to and including the actual Winter Classic game. The webcam available on the NHL’s website to view the construction of the rink at the venue where the game is taking place. The alumni game that has recently been added as part of the tradition. The practice and family skate the day before the game. All these things add to that which makes the NHL Winter Classic something to look forward to every New Years. I have watched the Winter Classic every year so far. The teams are not always ones that I necessarily like or would root for normally. However, the atmosphere of the game draws me to get excited for it anyhow. The first one in 2008 between the Pittsburgh Penguins and Buffalo Sabres was really exciting. It was the first of its kind (though not the first NHL outdoors game) and so it had the feeling of something very new and different. It snowed a ton, increasing the “outdoor” feeling. And of course, my favorite part, Sidney Crosby scored the game winning shootout goal. 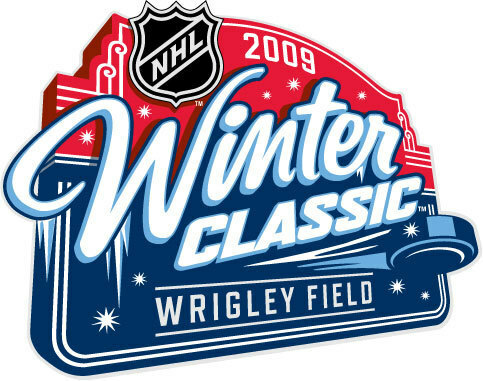 The following year, the 2009 Winter Classic featured the rivalry between the Chicago Blackhawks and Detroit Red Wings. While the 2008 game was played at the Ralph Wilson football stadium in Buffalo, the 2009 game would be played in a different setting. This time the game would be played at Wrigley Field in Chicago, a baseball stadium. It was going to be interesting to see the difference between the game being played in a baseball stadium as opposed to a football stadium. Plus there was the added bonus of getting the pleasure to see Chicago’s Jonathan Toews and Patrick Kane. 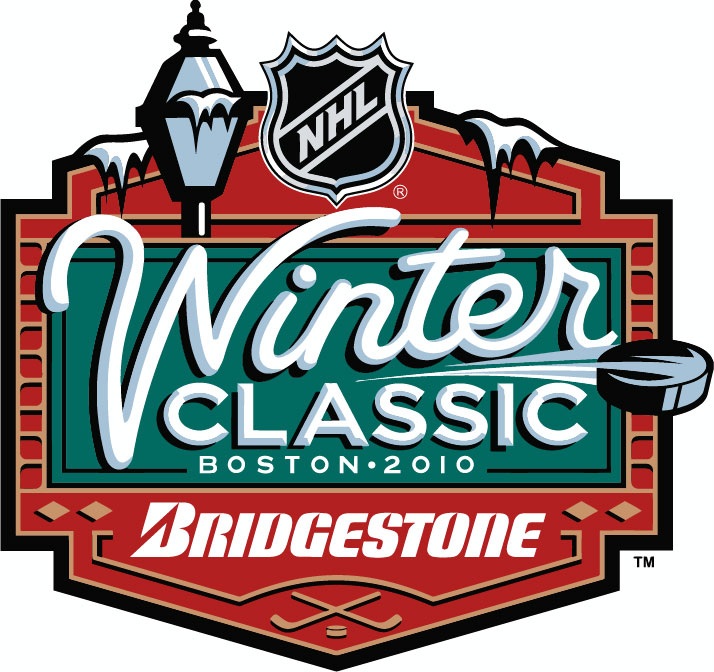 On January 1st, 2010 the famous Fenway Park in Boston was the setting for the Winter Classic showdown between the Boston Bruins and Philadelphia Flyers. For the first time, the home team (Bruins) came away victorious winning the game 2-1 in overtime. 2011 featured the return of the Pittsburgh Penguins, this time to face their rivals the Washington Capitals. This game was not just the rivalry of two teams but “Sid vs. Ovi.” The Crosby vs. Ovechkin had been long running since both players started their NHL careers in the 2005-2006 season. While this was just another setting for the contest between the two players it also brought the Winter Classic back to a football stadium at Heinz Field in Pittsburgh. Washington came away with the win with a score of 3-1. January 2nd, 2012 would be the meeting of two rival teams that have been battling in the Atlantic Division since its inception in 1993. 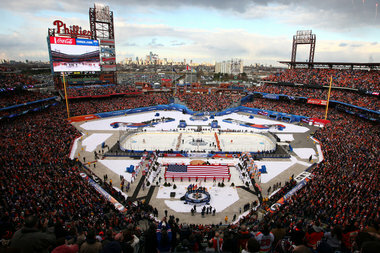 The New York Rangers would be playing against the Philadelphia Flyers at the Citizen’s Bank Park in Philadelphia. Because the teams play each other so often, the teams would play each other several times before the Winter Classic game , which would build the rivalry up even further leading up to the game. 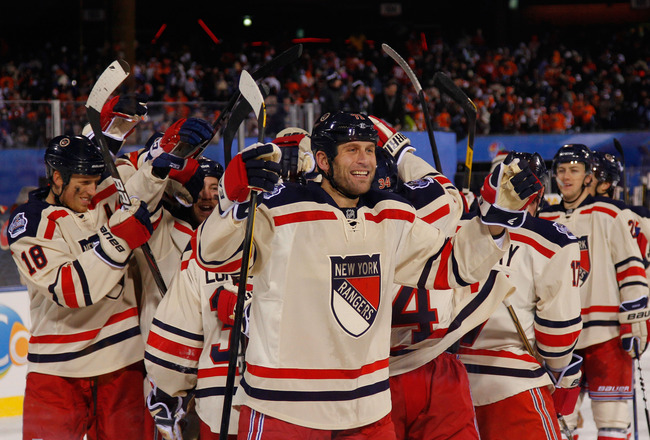 We got a taste of that by watching HBO’s “24/7 Rangers/Flyers: Road to the Winter Classic” mini-series. Three episodes would air before the actual Winter Classic game with the final episode premiering a few days after, which would include the game itself. The show gave fans a nice inside look at the two teams, their lives on and off the ice, and the creation of the Winter Classic. The game was intense and physical. It was hard fought between the two teams with many great scoring chances. Jaromir Jagr was not given much ice time during the 2nd and 3rd periods but showed he still has some game left in him during the first period cutting past two defensemen and getting a great scoring opportunity. The 1st period ended with the score 0-0. The Flyers picked up the pace in the 2nd period scoring two goals. 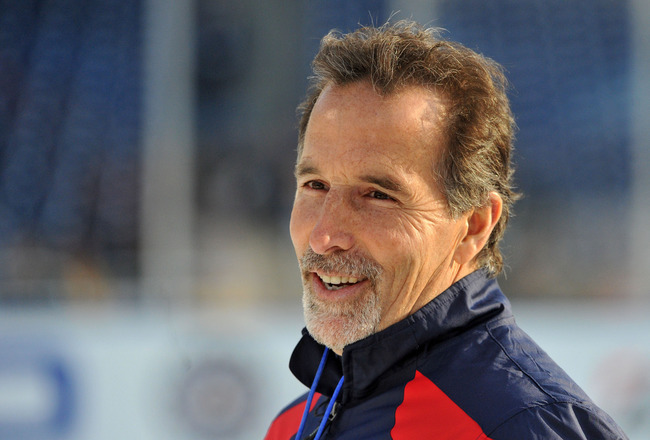 But Rangers Coach John Tortorella was able to adjust and the Rangers would not let the period end by such a deficit. With less than five minutes left in the 2nd period the Rangers got a goal from (the unlikely) Mike Rupp cutting the Flyers lead to one. Mike Rupp came to the rescue again in the 3rd period by scoring the tying goal and making the score 2-2. Less than three minutes later Brad Richards got the go-ahead goal to make it 3-2, which would be the final score. Flyer’s forward Daniel Briere would have a chance to even the score with a penalty shot awarded to the team as a result of one of the Rangers players covering the puck in the crease with their hand (an illegal move). But Briere was unsuccessful. And the Rangers won the game. I want to mention at this point that I thought this game was great and part of the reason for that was the way it was played. As I said before, it was physical, it was fast, it was intense … but it was not violent. There were no fights, no head shots, no knee on knee, etc. I was impressed that these two teams were able to play hard and fast without any of the violent shenanigans often seen in NHL games this season. These two teams showed that you can play a rough and exciting game without a fight or seriously injuring an opponent. I was very impressed. I should note however that Flyers’ tough guy Scott Hartnell was assessed a 10-minute game misconduct for cross checking one of the Rangers after the 3rd period ended, which led to some minor scuffling between the players. But as I mentioned, this was after the game had ended and no serious fighting broke out. No violence. Just pure hockey. I loved it. Happy New Year Everyone! 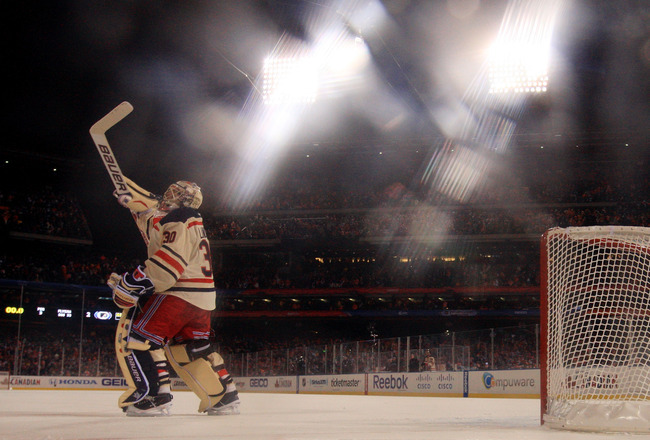 This entry was posted in New York Rangers and tagged Winter Classic. Bookmark the permalink.